Prison cell; photo by AlexVan, via Pixabay, CC0. I.C.E. relies on private contractors to operate many of its detention centers nationwide. A recently-released Department of Homeland Security reports indicates that I.C.E. may not be policing its contractors. A newly-released report suggests that the Immigration and Customs Enforcement agency isn’t doing enough to enforce standards in jails and detention centers run by contractors. Public entities and private corporations charged with running immigration jails have violated detentions standards thousands of times in recent years. Allegations range from reports of simple misconduct to sexual assault—but there’ve scarcely been consequences, with the Washington Post reporting that I.C.E. only levied fines twice. In response to the report, the Department of Homeland Security’s inspector general demanded that I.C.E. improve facility oversight. Federal contractors detain and manage nearly half of the 45,000 immigrants held in U.S. detention centers every day. 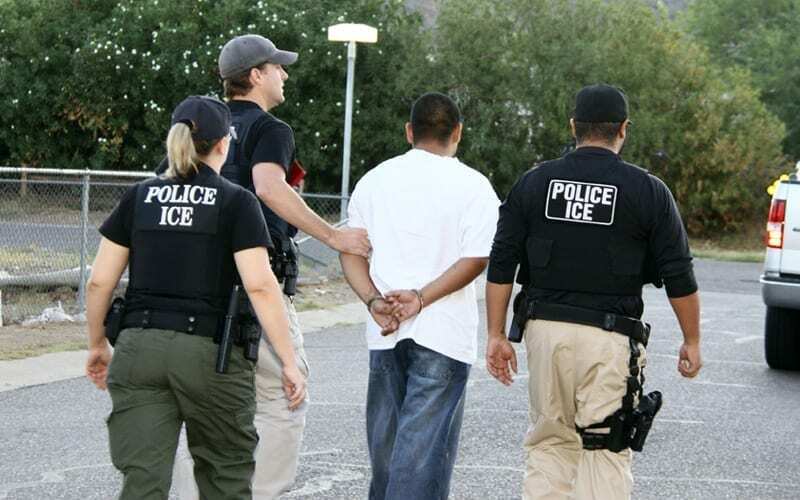 From October 1st of 2015 through June, I.C.E. recorded 14,003 violations at 106 facilities nationwide. In response, federal contractors were fined $3.9 million—a figure the Post says is 0.13% of the $3 billion paid out to privately-owned jails. Another fine, adds the Post, was levied after the Department of Labor determined a facility wasn’t properly compensating its employees. The list of abuses and violations detailed in the report and recounted by the Washington Post proceeds similarly: the inspector general found that, in some cases, immigration officials approved waivers allowing detention facilities to dodge violations or avoid other forms of punishment. For instance, one jail was granted a waiver allowing it to use tear gas as a replace for pepper spray, even though tear gas is considerably more toxic than its more containable counterpart. The source of the waivers is slightly uncertain: the inspector general claimed that I.C.E. lacks clearly-defined policies overseeing their issuance. In some cases, officials lacking “clear authority” were able to authorize them. “Key officials admitted there are no policies, procedures, guidance documents, or instructions to explain how to review waiver requests,” the report says. But I.C.E. contends that, though it’ll make changes, its policies are adequate for patrolling and controlling abuses in contractor-operated facilities. “IEC has a strong record of holding detention facilities accountable when deficiencies are identified,” agency spokesman Matthew Bourke said in a statement.